Moscow is a potent combination of centuries of history and all the wonders of the modern day, mingling together in unique and vibrant ways for all to enjoy. The 800-year-old capital of Russia has enough to keep visitors busy for months on end. If this is your first visit to Moscow, here are 5 of the most incredible places to check out during your stay. The image the average US citizen might think of when they think of Russia, with towering, colorful domes, comes largely from the colorful and gorgeous St. Basil’s Cathedral. Commissioned in the 16th century by Ivan the Terrible himself, this cathedral was so beautiful that the architect who built it was ordered to be blinded so he could never surpass the design of this immaculate, glistening cathedral that persist to this day. At the heart of Moscow lies Red Square, which could easily be considered the most visited attraction in the city. This cobblestone-lined town square, once a market teeming with traders, is now packed with gorgeous architecture and history. Many famous landmarks such as the Kremlin, Lenin’s Mausoleum, St. Basil’s Cathedral, and more can be found around Red Square. This Moscow museum features the largest collection of foreign art in the city, and is made up of three branches. The galleries contain everything from masterpieces from the ancient and classical world, to Renaissance pieces that have been carefully preserved. You can even find many works by the Dutch masters! The main building of the Pushkin State Museum of Fine Arts is packed with world-renowned artists, including Rembrandt, Botticelli, Tiepolo, and many more. Next to the main building, in The Gallery of European & American Art, you can find a massive collection of Impressionist and post-Impressionist works to enjoy. The Kremlin, one of the most famous spots in Moscow, is also the largest active fortress in Europe today. Behind 2.2 kilometers of wall, you can find five squares to explore, 20 towers, several buildings, and even the world’s largest bell and cannon. History lovers and those who are simply curious will get a week’s worth of attractions out of the Kremlin alone. GUM, Russia’s biggest department store, is much different from the department stores we might think of here in the US. Inside this beautiful, sprawling building that is nearing its 130th birthday are over 200 boutiques to satisfy your itch to go shopping. If shopping isn’t your thing, that’s okay: the glass roof of the arcade provides a wonderful view that faces Red Square, and there are a variety of eateries to enjoy. Before you go to Russia, you’re going to need a visa, and that’s where we come in. Call Texas Tower Houston at 713-874-1420 and let us help you with your US passport and Russia visa needs today. 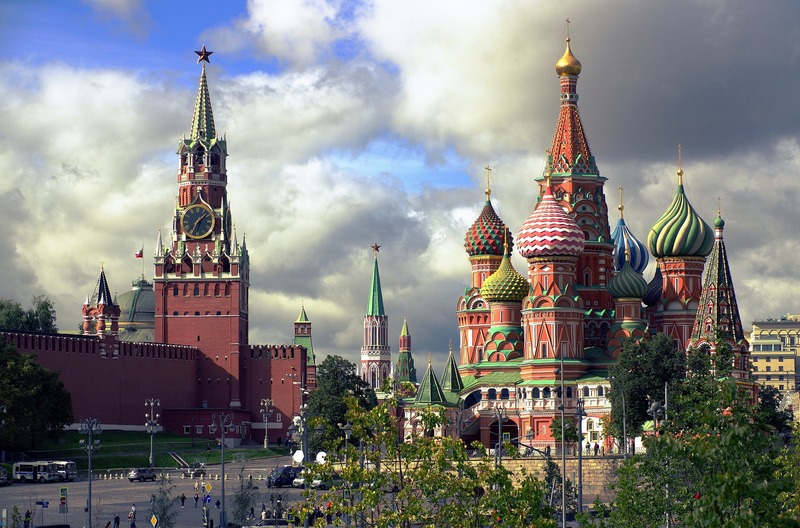 For more information on what you need for your Russia visa, click here.